A special surprise for the people of Delhi and its surrounding areas. Being the capital of the country, Delhi faces a lot of pressure. To ease the people living in Delhi/NCR region, we have created a special range of gifts just for them. Not just Gifts, we have special services too! Delhi, the capital city of India, is sometimes regarded as the very heart of India. Popular for being the melting pot of various cultures that it is, the city is also home to some of the most famous historical monuments in the country. While you can see and feel the religious diversity that has molded Delhi in every part of the city, along with the cultural influences of the ancient Indians, the Mughals, and the British. It is often said that Yeh Dilli Dilwalo ki hai! The way Delhi-ites rejoice during festivities and celebrate and gift during life's many occasions, backs that up quite literally! In Delhi NCR, you are near and yet so far. In Delhi NCR, everyone is always in a rush. Whether it's about getting to office or to school, or about getting back home, everyone has somewhere to be. As most MNCs find their way to Delhi or Gurgaon, life just keeps getting faster and faster. Owing to that, the traffic jams have grown rapidly over the years, and so has the hours that one spends on the road. Why are we bringing this up? Imagine having to leave office early to attend a function, and then seeing your planning going to waste due to the traffic. 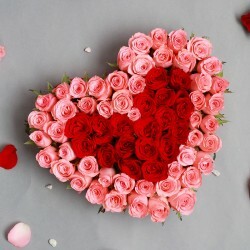 By the time you reach, the flower bouquet You've bought as a gift has taken a serious beating in the backseat of your car, and feels 'less than ready' to gift. Admit it, because at some point or the other, we all have been there. While a lot of people reside with their families in Delhi NCR, a lot of us don't really get the time to attend social engagements. The one day that you do get is spent resting and gearing up for a fresh run at the race come Monday. That makes the task of going to a store to find an appropriate gift something that we all will happily skip. 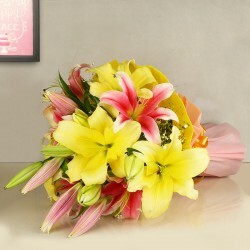 And if a sudden invitation were to come up, you can't really be certain of getting the classic flower bouquet that's up to mark while on your way. But you can't deny the Joy of Gifting.. When you have such a busy life, you sometimes forget to appreciate the people that mean the most to you. You can't of course go around telling the people how much they mean to you everyday (gets annoying soon), but subtle reminders are all you need to keep the magic alive. And it isn't just about the recipient; even you as the sender can get a lot of joy out of gifting, when you see the joy you bring to the people in your life! When you live in a city like Delhi, ecommerce and online shopping is nothing less than a boon. There is no traffic involved, there is no frantic search for a place to park, and there is no battling the elements when you go from shop to shop. And when we say online shopping, we don't just mean for the basic necessities like clothes and accessories, we also refer to those little things that you can do to surprise someone. After all, life is supposed to be a little more than surviving, it's supposed to be about living! 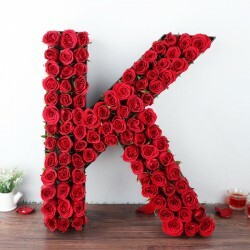 Online flower delivery in Delhi is just one of the little things that you can opt for to add a little more happiness to your life, and gift conveniently! 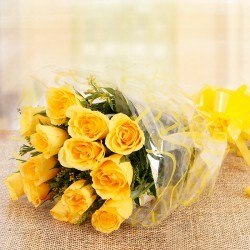 Skeptical about Sending Flowers Online? With MyFlowerTree, you don't need to be. 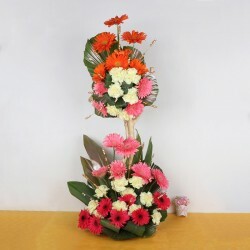 Whenever you want to send flowers to Delhi or Gurgaon or you want to order some special gifts like chocolate bouquets, you can always visit our website. 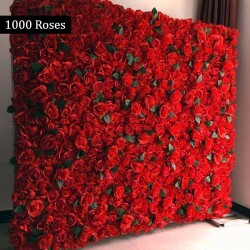 And if you are on the lookout for more, and want to actually see the gift you are selecting for delivery, instead of just sending flowers online, you can visit our store in Delhi as well; once you brave the traffic of course. 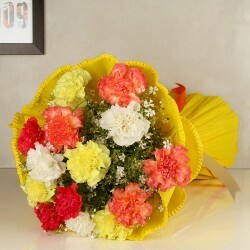 Sometimes it's easier to make a choice when you can actually see what you're choosing for flower delivery in Delhi NCR. Get Flowers, Cakes & Gifts all under one roof. Place an order online and do a self-pickup from the store. 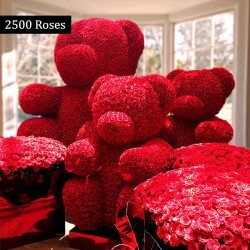 Walk-in and place an order for flowers, cakes and gifts to be delivered across the globe. Choose between Same Day Delivery, Fixed Time Delivery and Midnight Delivery. Find a gift to match the occasion! 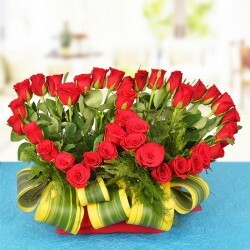 You don't have to worry about much with MyFlowerTree at your service; forgot a birthday? We've got same day delivery items! Need to surprise someone in another city? We have midnight gift delivery options!Apart from the gifting services, you can also visit our store to order decoration services. From wedding and birthday decorations to decorating your car, we undertake a number of requests; all you need to do is visit us and let us know. Products in this category have been rated 4.5 out of 5 based on 132 reviews.